Hello Friends, It’s time again for a new challenge over at Seize the Birthday and our topping this time around is to make a pocket card. I took the challenge quite literally as you will see in the photo. 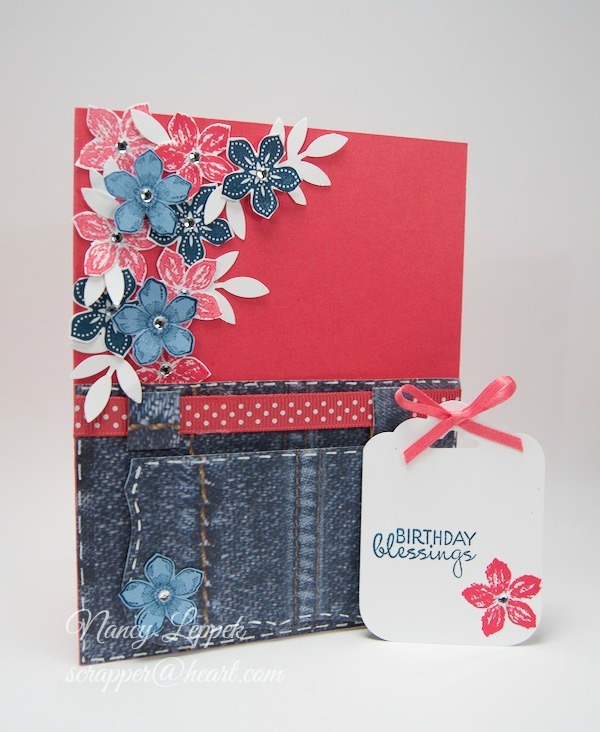 LOL I have had this denim paper by Creative Memories for so long and knew it would be perfect for this card. I saw a card like this over on Pinterest so very long ago and thought it was oh so very clever! Here is a photo of the card that inspired me, however the link to the card didn’t actual work. Although, her name and website is on the photo. I like to give credit to the people and their projects that inspire me. I also wish to say thanks to Anita in France for being with us as our Special Birthday Guest over at STB…we sure are enjoying having you with us! Card Details: The flower stamps are from Stampin Up and the sentiment is from Verve. I used a tag punch which is also Stampin Up and the leaves are a MS punch. Some pop dots to make the actual pocket and some ribbon and bling to finish it off. 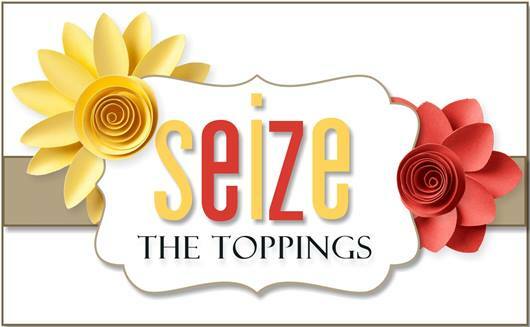 Have a wonderful day and please come by and check out what my fabulous teammates did with the pocket challenge at Seize the Birthday! 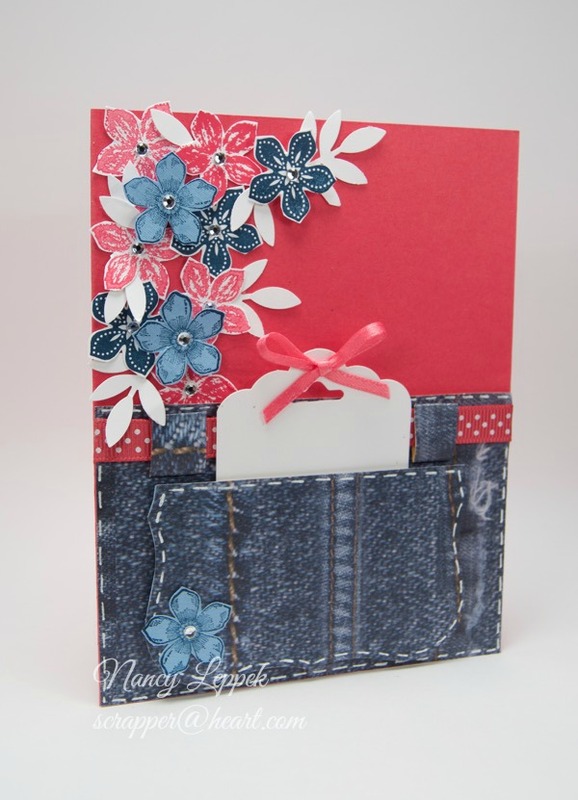 Love your sweet denim pocket and that lovely spray of flowers. Great pocket card. What an awesome pocket card! I love it and great colors too! Nancy, is just popped right out to me! The colors are fabulous, and who doesn’t love denim? I love all your flowers, such a great cluster! Have a wonderful weekend! This is darling! Love the denim. OMG you have really rocked this one with this absolutely adorable and clever card. Love the concept and the papers and the colors. Too sweet. It is good to get inspiration from Pinterest. Oooh love your pocket cards, so cute! LOVE the blue denim one, beautifully designed! 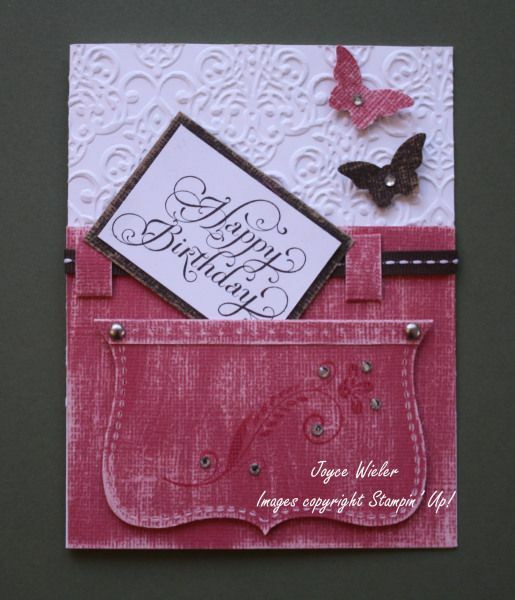 Love your pocket card Nancy – perfect paper and that die/punch goes so well with it. Love that set and use it lots. I love that cute little pair of jeans, Nancy, including the ‘belt’. I’ll have to try one of those pocket cards.